Condition : Soft cover 120 pages. many colour plates. The author recognised the need for a basic book about ancient ceramics in Thailand and successfully filled it with this volume. The text is clearly and concisely written in a style that can easily be understood by those who are not familiar with the subject and want to learn about it. 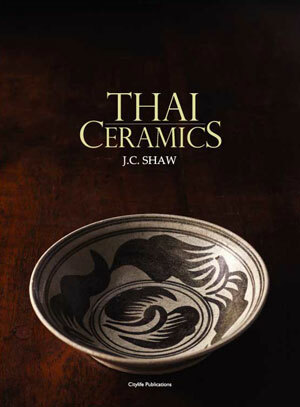 Yet, because it includes results of recent archaeological research, the text is sufficiently timely to be of interest and value to the specialist - a convenient reference book that should be in the library of everyone interested in the ceramics of Thailand. Ayuthya was utterly destroyed by the Burmese in 1767. In an attempt to recreate a past for the Thai people and to validate the new dynasty, an authorised version of history was constructed from the few remaining records. The Thai people were thought to have moved south from China and finally broken free from the Khmer yoke in the C13th. King Ramkamhaeng the Great of Sukothai was hailed as the founder of the modern state and it is he who is credited with having brought potters from China to set up the famous Sukothai kilns. In fact Thai history is vastly more interesting, varied and ancient and it is partly the study of ceramics that tells us so.Over 10,000 years ago plants that originated in this area are thought to have been deliberately disseminated throughout the region. Rice grains have been found in association with 8,000 year old pottery. 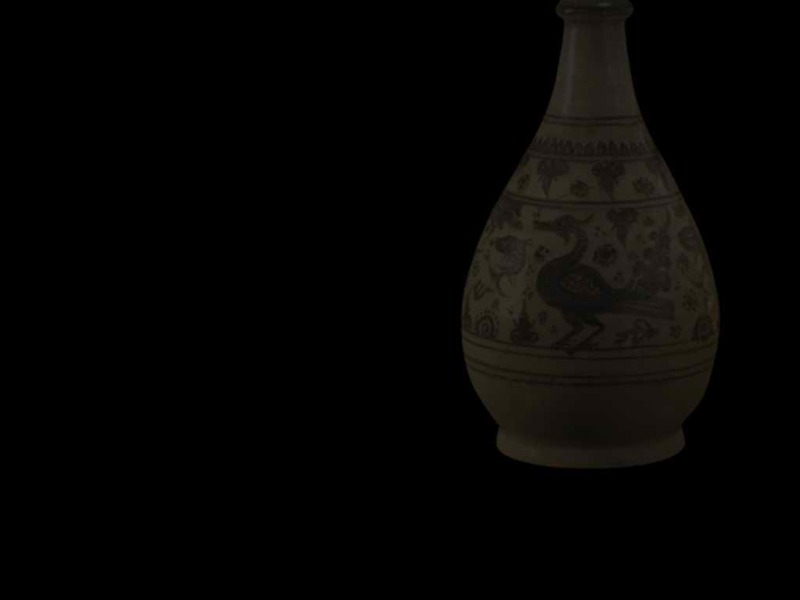 Four thousand years ago the great bronze and ceramic culture at Ban Chiang was already flourishing. Northern Thai wares were probably used locally for religious and ritual purposes as well as for daily use by the princes or �jao� and their retainers, by monks, and by ordinary people. We know now that ceramics, particularly plates, were traded and used extensively as burial furniture. There are a surprising number of kiln sites. Perhaps because the mountainous country made communication and transport difficult, kilns were set up near each major population centre. Often the traditions of the kilns were very different from each other so that different schools of potters must have been at work and of course, different qualities and types of clay and other materials affected the wares made.